Jennie's closest friend, Emma Kilgore, and her husband, Dr. Kilgore, came down with meningitis a short time after the two friends graduated from Monmouth College. Their home was quarantined, but Jennie went to their aid and nursed them back to health. Dr. Kilgore urged Jennie to pursue the medical profession and gave her his medical textbooks. This inspired her to enroll in the Women's Medical College in Pennsylvania in 1876. Within her first month of attending the college she wrote to her friend, Emma, stating, "I have taken such a fancy to surgery that you need not be surprised to hear of my making that branch of the profession a specialty". In a later letter she describes her class schedule and some dilemmas of being a medical student in the late 1800's stating, "I have concluded to spend the winter on Chemistry, Anatomy and Physiology; I have not begun dissecting...I am waiting for cool weather, and until some unfortunate victim see his way clear to devote his remains to the advancement of science". Jennie continued to write Emma of her experiences at the college. She received her M.D. from the college in the spring of 1879. Founded in 1850, the Female Medical College of Pennsylvania was the first school designed specifically to train women to become doctors. The eight founders, four doctors and four philanthropists, found it difficult to convince local doctors to lecture the women though they managed to find six young doctors with not much experience as professors. After two years, the first graduating class had eight women. The school was renamed in 1861 to the Womens Medical College of Pennsylvania. At the time, women were not welcomed into the medical world and were denied access to clinics in the hospitals. 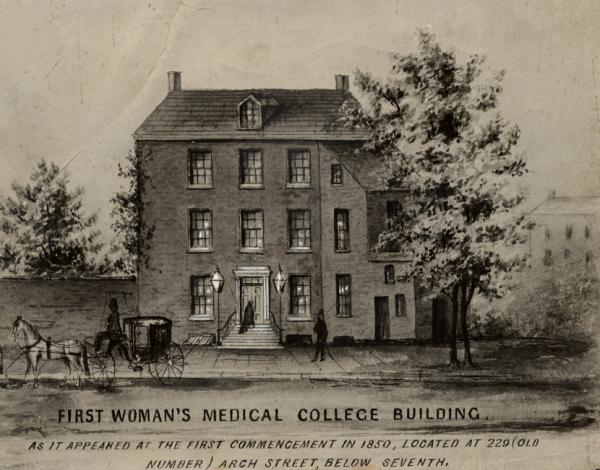 To ensure the women could experience clinical work, a former graduate of the school, Ann Preston M.D., opened the Woman's Hospital of Philadelphia in 1861. The college merged with another Pennsylvania medical college in 1993 and became part of Drexel University College of Medicine in 2003. Today Drexel University is ranked 83rd in medicinal research. Jeff describes Jenni's motivation to continue her education in medicine.